Project Manager: "We need to get someone to develop a Linux driver for our new machine controller. Here's a purchase order for the work." Purchase Department: "Okay. Let me check the purchase order to make sure it follows our standard procedure: NDA to be executed, source going into company's safe ... "
Project Manager: "Nope, we're going with Open Source - source gets published to the Internet." Purchase Department: "What? We're paying for the development but the source code goes out to the Internet? If everybody can use the source code, why are we the only ones paying for this? No way this can fly!" Open Source is a way to get a broader community to help with development and to share in its costs. OSADL allows those members interested in developing particular Open Source software to come together in an OSADL project supported by membership fees. 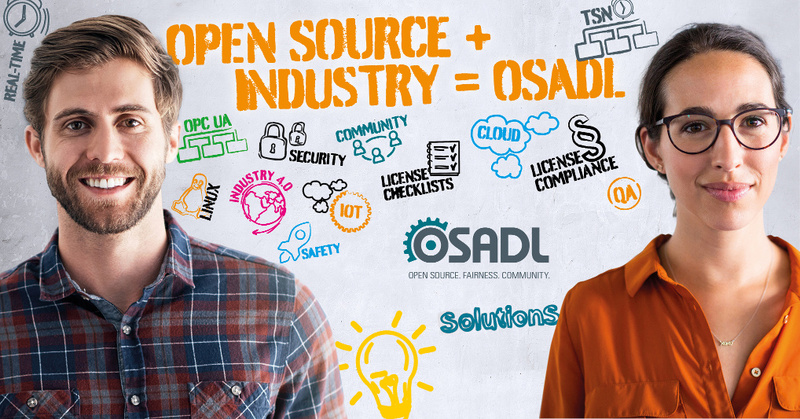 With the agreement of a majority of members, OSADL can delegate the development of Open Source software components. Thus, what is (financially) impossible for the individual (company), many (OSADL members) can do.